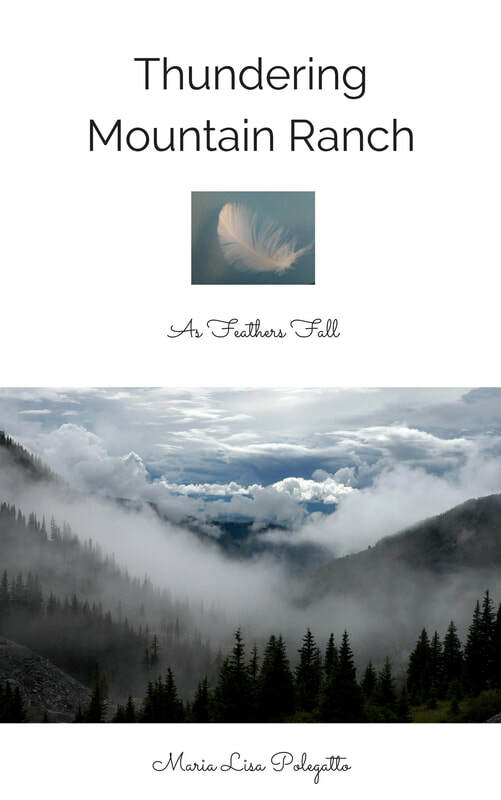 Welcome to Thundering Mountain Ranch, As Feathers Fall, a novel by Maria Lisa Polegatto, where Travis and Maris reunite allowing true love to take hold, a match made in Heaven. Travis a handsome businessman turned ranch owner and operator invites Maris to a retreat at his ranch to write her latest novel, where he whisks her away to the beautiful mountain lake and peak on his Black Percheron horse to make his confession and promise to her. Maris falls in love with Travis and his ranch full of animals using her natural healing abilities when fate takes hold and proves they are forever and always together at the peak as they grow closer together through Travis' battle with cancer and overcome obstacles of life. Dreams are like messages from Heaven and can send us many signs to point us in the right direction in life. Learn how our connection with animals, nature and spirituality can teach us many healing insights in life and how our lives can change in an instant with the blessings love can bestow upon us. Sometimes we are in so much pain in life that it is not another human that helps us but an animal that unlocks our healing abilities. While humans are beneficial, animals can have a mutually beneficial effect on us. I am passionate about my vision of how I use my techniques to be mutually beneficial to both humans and animals and have created a process to set many people free to heal with God's animals and nature. Learn what animals can teach us as they convey many message to us. 5. See the world around you with more compassion, gratitude, and love in the future. ​Maria Lisa also writes articles, meditations, poetry, quotes, that she is passionate about while sharing on her website. She is also a Paralegal, Reiki Master, Spiritual Teacher and doTERRA Wellness Advocate. Nature and all animals, wild and domestic, are part of her passions while also being a researcher of many things in life.